A new direction is being market tested by the Church of England to firmly establish it in the 21st Century. 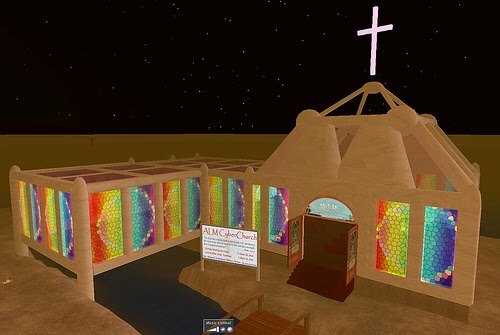 Bold new plans will see this traditional church embrace the computer age, if evidence from focus groups is positive. Under radical ideas, almost all of the traditional terminology will be swept away and replaced with modern cyber-terms in an attempt to reconnect with a younger generation. The process has already started in a small way to test reaction. Once upon a time Bishops were 'enthroned' - now they are 'installed' - a clear move to recognise the age of PC's, Windows, Facebook and iPads. Initial responses have been largely positive. But the process will go much further, said an official in the Communications Department at Church House. Services will be replaced by Podcasts, the hymnal by a YouTube Playlist. Confession and absolution will become Anti-Virus Scans, with a Quick Scan in Sunday worship and the opportunity for a Full System Scan in the confessional during the week. The sermon will be rebranded as the Sunday Blog and will provide worshippers the opportunity to click on 'like' , 'dislike' or 'comment'. Intercession will now be called "Heavenly Twitter", and instead of sharing the Peace, members of the congregation will be invited to 'Poke' each other. The will also be a Communion App which can be downloaded daily. Baptism will be transformed too - water will no longer be necessary, merely a 'friendship request' followed by the issuing of a unique Username, as long as subscribers tick the 'Terms and Conditions' box. In most churches, however, Confirmation will be required before access to all areas is permitted. Terms used in ministry will also continue to change. Following the successful introduction of 'installation' for bishops, they will be now be called "Spiritual Webmasters" instead of Bishops, and will be 'Upgraded' rather than Consecrated. Archdeacons will be given the role of 'Net Nanny' to ensure no inappropriate material is introduced. Finally, in an attempt to promote mission, Vicars will be given authority to register their own 'Domain' and Deacons will staff the email help desk to respond to calls to the Help Line. But i thought that 'installlation' came from the 'in stalling' of clergy in teh first place - they are put int heir stalls in church at the beginning of their time in a place. Funny how modern technology actually uses older terms! How very true! But we do still hang onto some ancient concepts around clergy 'ruling'there area of jurisdiction - Interregnum, for example. Perhaps we should change that to "Configuring updates" ? I hope THE interegnum doesn't last as long as it takes my computer to configure updates. Trouble with updates are you get used to and are loyal to one very good operating system, it's often hard to work out why the new improved version is any better. :) S.